Are you wondering if you are providing your body with the tools it needs to stay strong and healthy? 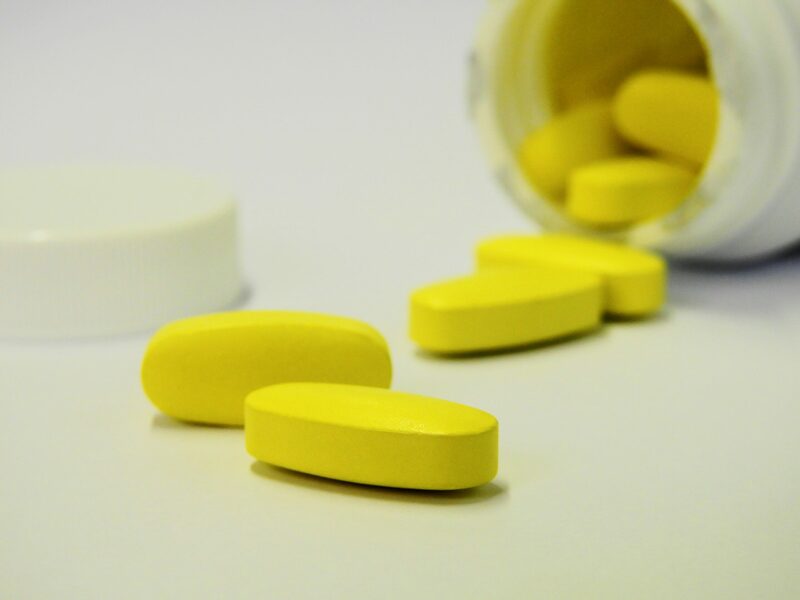 Today we want to discuss why you should be taking these 3 vitamins for osteoporosis. As we age, a balanced diet becomes increasingly more important for health and wellness. The nutrients in food plays a large role in your bone health. If you are eating a well-balanced diet containing fish, fruits, dairy and vegetables, you should be able to get the nutrients your bones need from these foods. Not eating a rounded diet may lead to a lack in vitamin D, vitamin C, calcium, and other nutrients. If you are lacking in these vitamins, you are putting your bones at increased risk. Vitamin D is vital for bone health. Your body needs vitamin D to absorb calcium and increase bone density and mass. Without strong, dense bones, you are more likely to develop osteoporosis (porous bones). Vitamin D comes from three sources: sunlight, food and supplements/medications. Your skin makes vitamin D from UVB rays in sunlight, or the ultra-violet light. As we age though, our ability to make vitamin D decreases and the time spent indoors often increases. Vitamin D is frequently found in or added to some dairy products, cereals and fatty fish. Since vitamin D is only found naturally in a few foods, it is extremely difficult to get all the vitamin D your bones need from your diet alone. If you do not get enough vitamin D you should consider taking a supplement. If you need help determining how much vitamin D you should be taking and choosing a supplement, ask your healthcare provider. They will recommend one and help you decide how much your body needs. Vitamin C is important for your body because it acts as a cell protector and is vital for the formation of collagen. Collagen is the fibrous part of cartilage and bone, and aids in providing resilience to your bones. It also plays a significant role in bone health as it helps increase bone density and prevent osteoporosis. Osteoporosis can compromise bone strength and density, especially as you age, leaving you at a higher risk for frequent fragility fractures. Getting enough vitamin C in your diet can help combat the effects of osteoporosis. Vitamin C is found in fruits and vegetables, such as red and green peppers, oranges, strawberries, papaya, pineapples, broccoli and brussels sprouts, to name a few. It is also added to certain milks and cereals, much like vitamin D. If you are not getting enough vitamin C from your diet, consider a doctor recommended supplement. Calcium is the building block for many bodily functions, including strengthening your bones. Every day, our body uses calcium for the skin nails and hair, and we lose more through sweat and urine. If your body is not getting enough calcium, or if it is unable to absorb calcium, your bones will suffer the consequences. This is because your body stores nearly all its calcium in your teeth and bones and will take the calcium from your bones if it is deficient in other areas. Calcium deficient bones become weak and are unable to grow. Osteoporosis occurs when there is an imbalance between the formation of new bone and the re-absorption of old bone. Though food is the absolute best source of calcium, you may not be getting enough through your diet alone. It is important to note that you do not need to consume higher amounts of vitamins and minerals for bone health and more does not mean less osteoporosis. Actually, too much can be harmful for your body. You only need to receive the recommended amount, either from food or supplements. You should always consider adjusting your diet first to include the nutrients your body needs. Talk to your doctor or a nutritionist about a well-rounded meal plan to include calcium, vitamin C and vitamin D. You should use supplements to assist your diet, only if you are not getting the daily recommended amount of vitamins and minerals from your food. Vitamin and mineral supplements are available without a prescription, but we recommend that you consult a healthcare professional first. They can recommend brands, types, and amounts of each supplement before you begin. Meet one-on-one with your provider to discuss the next steps towards healthier bones. They can help you schedule your next DEXA scan and obtain lab results to determine the status of your bones. Dr. Dickerson listened and answered all my questions for my foot condition. He gave me very objective advice and wasn't quick to suggest surgery as a solution. I really feel as he has the best interest of me and every patient at heart. I would recommend him to anyone!